Our Middle School and High School Connect services are on Sunday nights. The services are geared separately for middle and high school students throughout the month. Connect runs from 7-8 PM (Doors open at 6:30 PM). 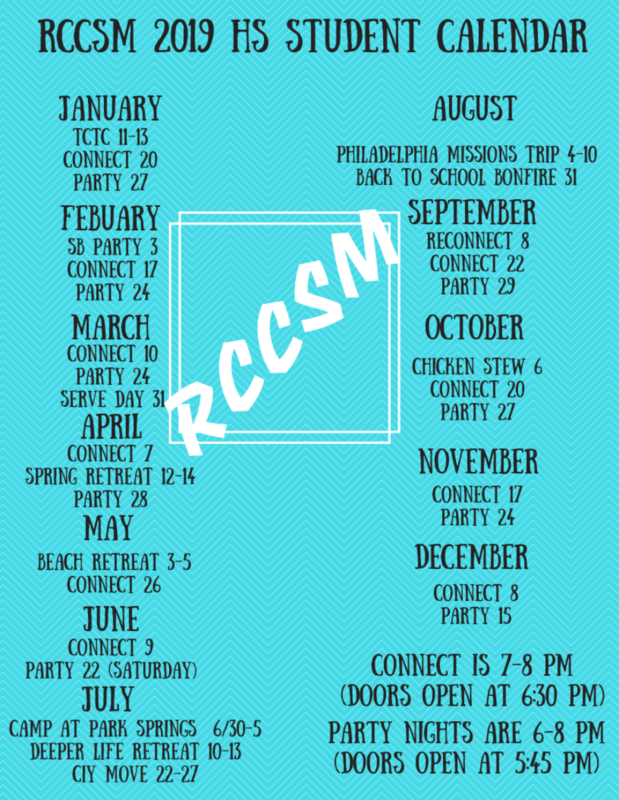 At the end of the month, both middle and high school students come together for a Connect party from 6-8 PM that features a meal, games, and worship. Your student belongs here, and we cannot wait to be a part of the faith journeys of every student that walks through our doors. 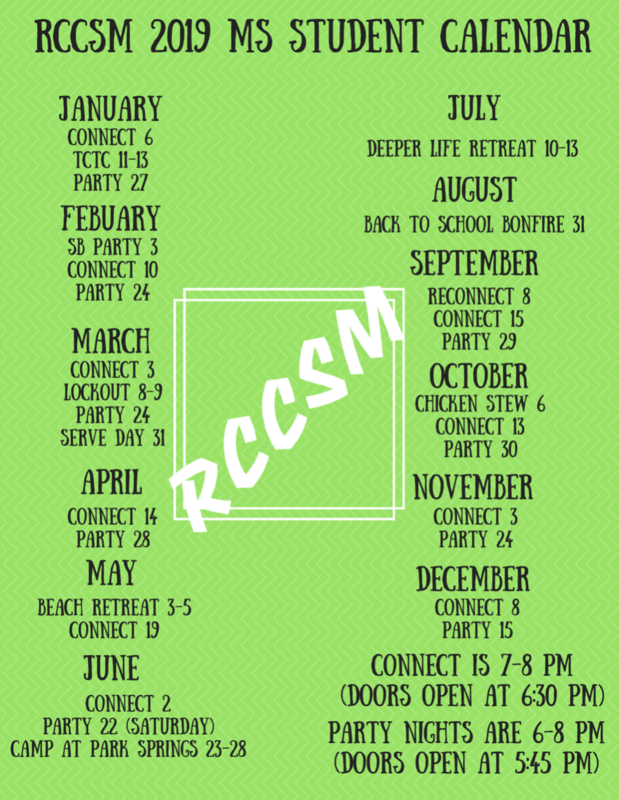 Click here to see the full calendar for what's scheduled for RCC Middle School Students. Click here to see the full calendar for what's scheduled for RCC High School Students. We are going to Myrtle Beach this May 3-5th for a weekend of worship, fun, and friends. All of your friends are coming so why not you? Registration runs from March 31st until April 28th. Cost is $120 which includes lodging, food, conference fees, and more. This is a Middle and High School event! We are talking our High School students to Salisbury, MD for CIY (Christ in Youth) MOVE July 22nd to July 27th. Early Bird Registration for regular attenders begins March 1st and the cost is $225. Early Bird Registration for everyone else begins April 1st. Regular Registration begins May 1st and the cost is $300. Registration ends June 1st. All payments/payment plans must be made before June 1st. Space is limited so register soon!